The beginning of fall always signifies two of my favorite things: pulling out all of my big, comfy sweaters and making delicious pots of soup. Soup is definitively a seasonal food for me and has to be one of my favorite things to make on a cold day. There’s nothing more nourishing or comforting than a warm bowl of soup you’ve spent a few hours making. 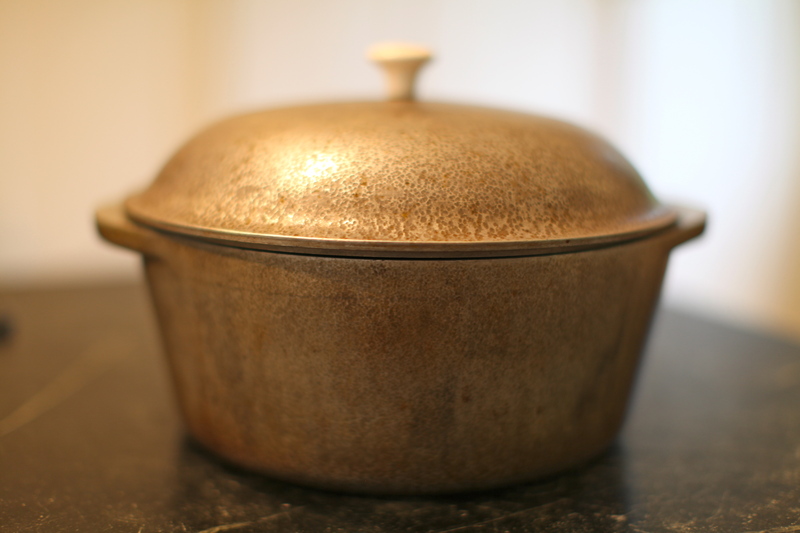 To make a good soup you have to have a good pot and I was lucky enough to get one of my great grandmother’s cast iron pots handed down to me. Yesterday I broke it out and made one of my favorite fall go-tos: roasted butternut squash soup. Around Boulder we have so many farms you can hop in the car and visit for good produce this time of year. I had hoped to get squash that was a bit more rich in color, but the taste is still pretty wonderful. I tend to play around with my recipe each year and it takes me a few times of making it to get back into the groove of it. 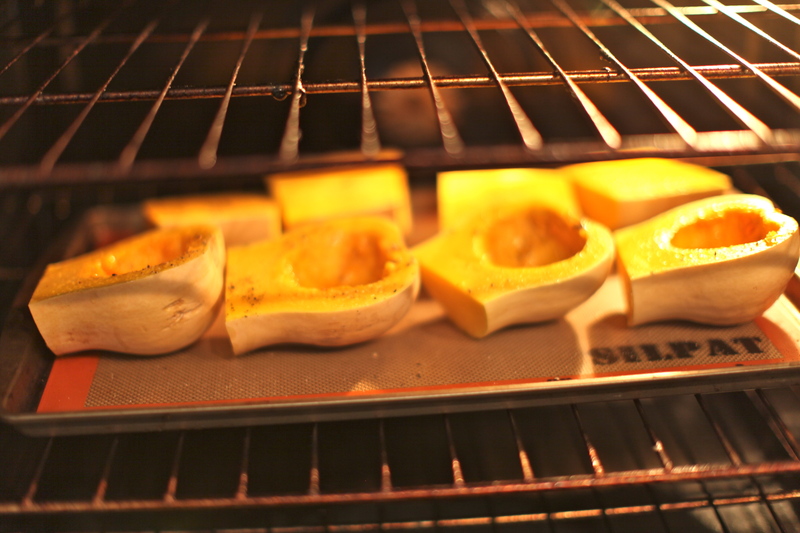 Preheat the oven to 350 & take 2 small butternut squash & cut into 4 segments. Clean out the seeds & pulp. Lay them face up on a baking sheet & brush with olive oil and season with salt & pepper. Drizzle a little honey over the segments. Roast the squash for about an hour until it turns slightly darker & softens. About halfway through roasting the squash I start the broth. Make a bouquet garni by tying together a few sprigs of thyme with a couple bay leaves and a sprig of sage. I really like sage with the squash. Dice 2 shallots. Heat 2 T. butter in the pot and sauté the shallots for a few minutes on medium heat. Add 2 cartons of organic chicken broth and bring to a boil. Add the bouquet garni. 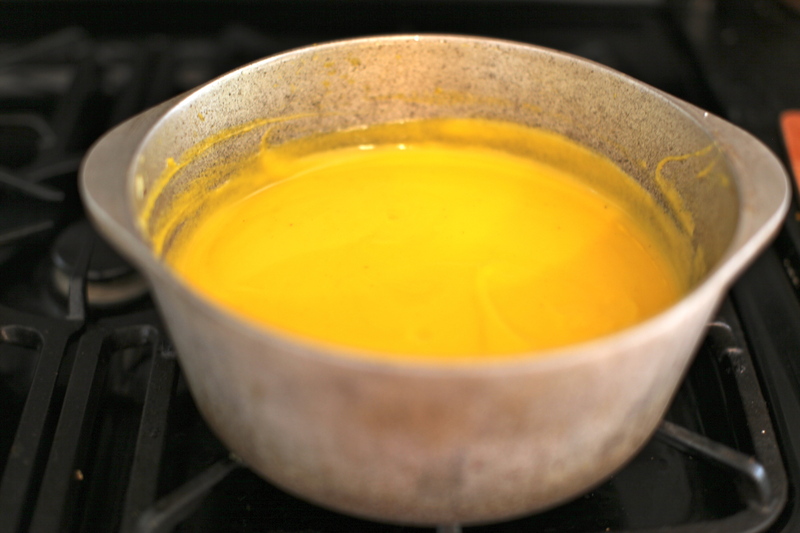 When the squash is finish, separate from the skin and add to the broth. Boil lightly for about 30 min. Remove the bouquet garni. Puree the soup in a food processor or blender. I do 3 batches and usually put the first batch directly back in the pot. Then I will strain the next two batches to get rid of some of the pulp. It is usually pretty good to eat now, but I like to let it cook for another 45 min or so on low and reduce a little further. The soup is usually even better the next day. You are currently reading Ushering in Fall at 52 To Do.